Ozzy comes from a line of working gundogs. Indeed, both her mum and dad are working dogs and several of her recent ancestors have been very successful both in the field and in trials. For the moment, though, we’re just focusing on making her feel at home and developing a good bond with her. As you can see, she certainly seems to be feeling at ease here. 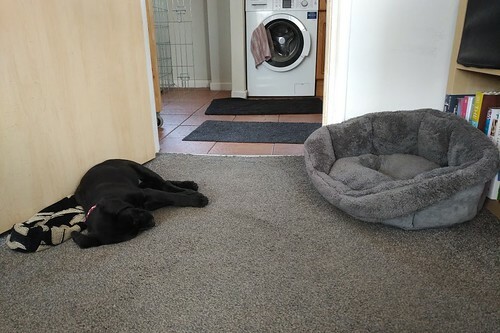 Even if she does prefer the floor to the comfy basket I’d bought for her. As you probably know, we already have a Labrador, Molly, who is now nine years old but still as active and as enthusiastic as ever. She’s taken a keen interest in Ozzy’s arrival. Here she is doing an unannounced kit check. 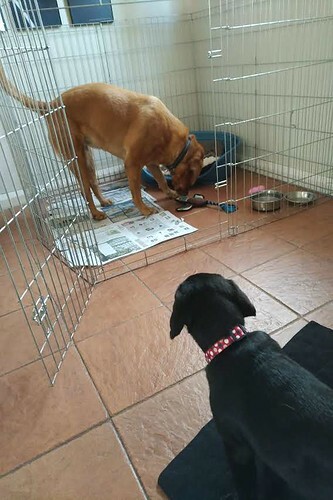 When we decided to get a second dog, the only thing that worried me a little was whether Molly would cope with a new puppy coming into her home. Thankfully, she seems fine with the idea. 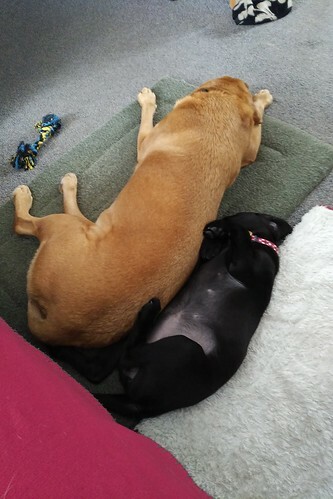 She’s been very tolerant of Ozzy’s need to hurtle around everywhere, but has gently made it clear when Ozzy has overstepped the mark in terms of personal space, tail chewing and inappropriate sharing of toys/food/beds. Ozzy, for her part, clearly worships Molly and follows her around the whole time, trying to copy what she does. 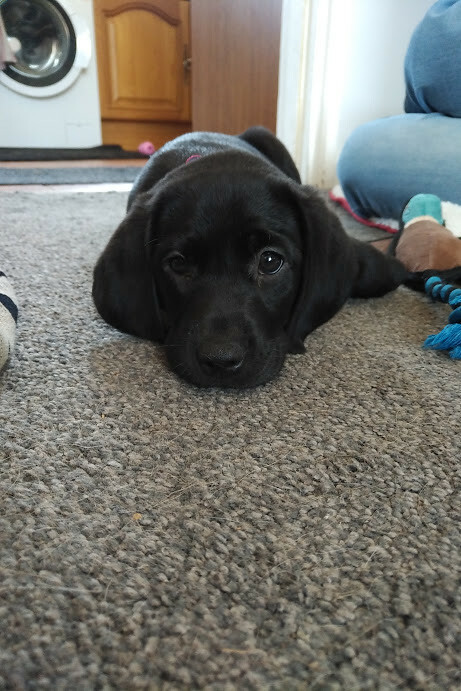 This entry was posted in Dogs, Family, Home and tagged Dogs, Labrador, Ozzy by Simon Perks. Bookmark the permalink.